WOW Embossing Powder and Trinity Stamps Collaboration! Hello Friends and Happy Monday!! We are so excited that Trinity Stamps is collaborating with WOW! Embossing Powder for a fun and inspiration-filled Blog Hop! 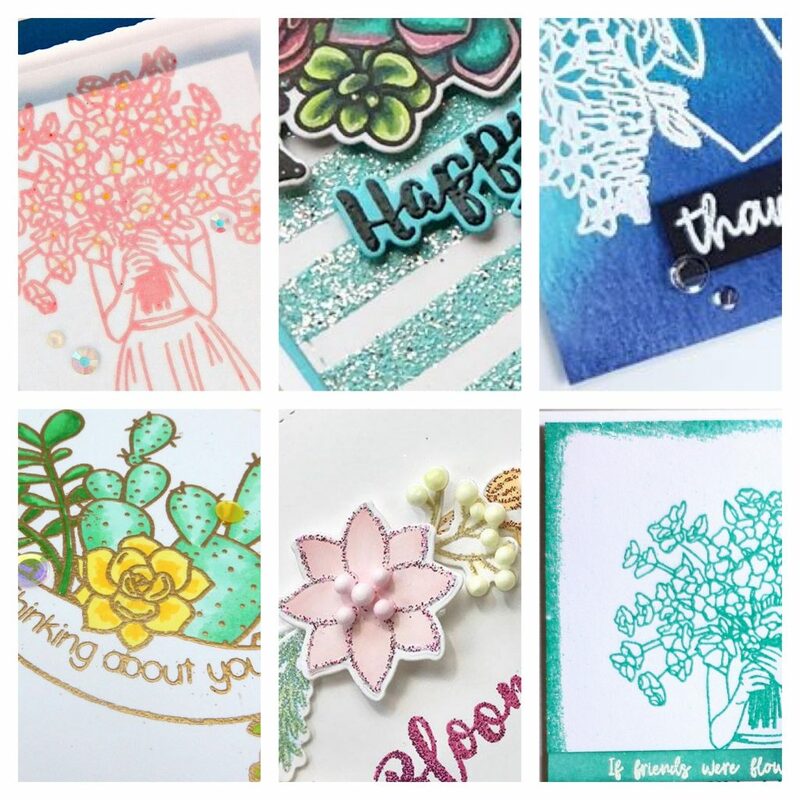 The projects created for the hop are AMAZING and you are going to love all the heat embossing and stamping magic! Make sure you leave comments along the way for a chance to win some awesome goodies from WOW! and Trinity Stamps. 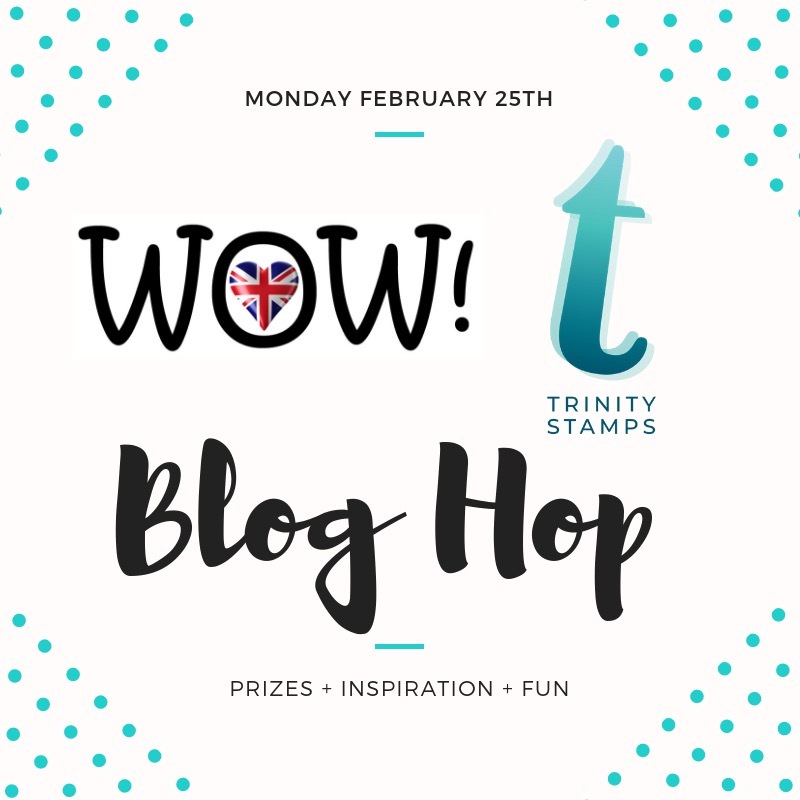 Winners will be randomly drawn and announced on both the Trinity Stamps & WOW! Embossing blogs on Wednesday, March 6 2019. Here’s a little sneak peek of just a few of the projects along the hop. All we can say is WOW!—seeing all of the different Trinity Stamps images heat embossed with so many different WOW! embossing powders and sparkles is breathtaking!! We are giving away two prize packages: 6 x powders (at the winners choosing) + carry case from WOW! Embossing Powder & Trinity Stamps has an amazing pack of goodies with Stamp, Die and Embellishments. Thank you so much for joining us today. Don’t forget to leave a comment here and on each stop along the hop for a chance to win! Have fun hopping and enjoy all the inspiration! W-O-W…. everything seems so amazing!!! Oh how FUN! Love the sneak peeks! Gorgeous projects ladies- what a lovely collaboration!!! How exciting!! The sneak peeks look amazing. Now off to hop! Wow! Looks awesome. Off to hop along. I found this hop on the Coffee Lovers Blog! I’ve never tried WOW or heard of Trinity Stamps so I am seriously looking forward to checking out this hop!!! Grabbing a fresh cup of coffee and ready to hop along to see these amazing projects. Gorgeous colors. Looking forward to hopping! Love the Colors & the Sparkle. Great way to start the day with Trinity Stamps and WOW embossing! The sneak peaks are great! What an awesome blog hop and team up! Beautiful projects! Loving the sparkle! So fun! Coffee made and on my way to look and be amazed! This looks like fun. Thanks for doing this!! What a great collaboration! I love both companies! Thank you for all the sparkle and inspiration!! Looking forward to all the great projects with the collaboration of two great crafting companies. Hop away! What a fun hop! Well done ladies! Great blog hop. So exited for the chance to win! Hopping along. Looking forward to the inspiration. Looking forward to getting a closer look at all of these fabulous creations along the hop! Great collaboration! I know I’ll be inspired! Oh how fun, off to hop! How exciting! Beautiful stamps, gorgeous embossing powders, and lovely inspiration! Perfect way to start the week. These projects look so yummy. Great combination and can’t wait to see the creations on the hop. Great collaboration!!! Thanks for this great chance to win!!! I can’t wait to hop. The previews look amazing already. WooHoo! I love blog hops! Very cool looking goodies! I have never done a blog hop before.Its fun! Love the sneak peek! The embossing powders are great. Thanks for the sneak peek–off to hop. These all look fabulous! Can’t wait to see more! Such fun! Sooo much talent and inspiration to see. Thank you for organising this blog hop with WOW! It’s so much fun. Looking forward to this blog Hoo! What a fun collaboration and great inspiration projects! Looking forward to hopping along. Excited to do this hop.